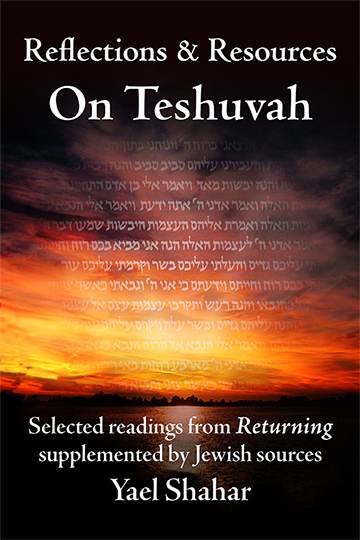 Three times daily, we Jews praise God for “reviving the dead”. The thing is, no two Jews are likely to agree on what it means. Some, following the prophet Ezekiel, prefer to think of it in metaphorical terms—the resurrection of Jewish national life out of the ashes of the past. Others see it in more literal terms. I’ve tackled one interpretation of this enigmatic tradition in Returning. 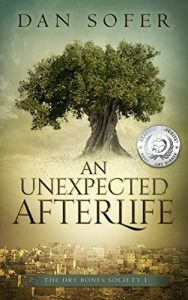 But Dan Sofer presents an altogether different—and utterly delightful—view of the rabbinic traditions surrounding the resurrection in An Unexpected Afterlife. What if? he asks. What if Jews suddenly began waking up alone and naked in cemeteries all over Israel? The speculation is fleshed out (pardon the expression) in the character of Moshe Karlin, owner of a thriving taxi company who now finds himself the late Moshe Karlin. 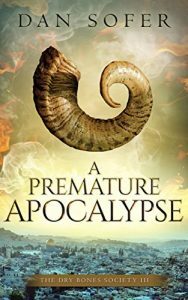 Moshe quickly finds the afterlife isn’t all it’s cracked up to be. What is he to do about the fact that his wife has moved on, and is about to marry Moshe’s best friend (or should that be, former best friend?) Turns out, an Israel identity card stamped with “deceased” presents some thorny issues of its own. Fortunately, Moshe isn’t alone. As more and more dead people begin reviving and demanding their rights, Moshe does what any good Israeli would do in his situation—he organizes them! 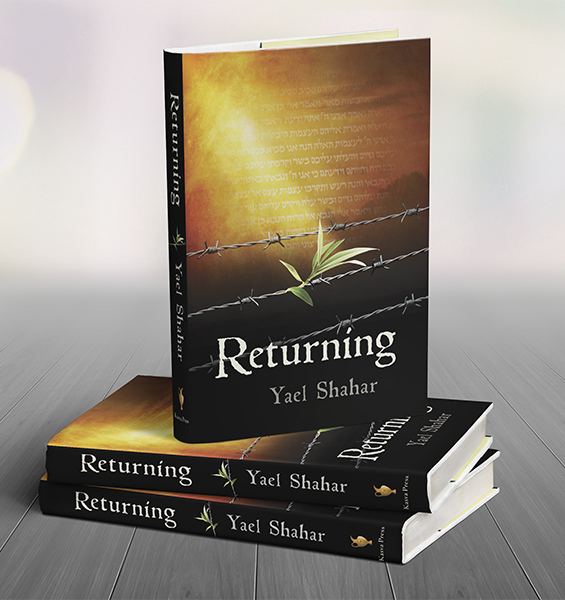 As Moshe schemes to get his wife back, his colleagues at The Dry Bones Society canvas the cemeteries, ready to reintroduce the returnees into Israeli society. But not everyone is happy about the resurrection. Moshe faces opposition from Israel’s religious establishment, who aren’t too happy with the fact that secular Jews are the first to revive. Meanwhile, the politicians view the newly revived as potential voters and scheme accordingly. Most ominous of all, a powerful crime syndicate has decided that Moshe’s Dry Bones Society is a threat to their racket. 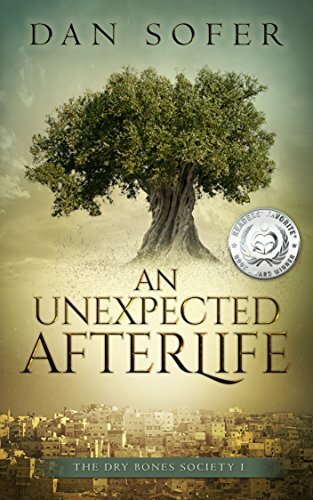 An Unexpected Afterlife is an immanently Israeli book; the heroes and villains are people that you might meet at the Mahane Yehuda market or behind the wheel of any cab in Israel. The action takes place on the streets of Jerusalem, in settings familiar to anyone who has lived there for even a short time. The scenes are vividly drawn, so that even non-Israelis can enjoy the view, but locals will find plenty of visual and geographical inside jokes. Having lived in Jerusalem in the late 1980s, I had to smile at the irony of the defunct shopping mall at Clal Center being resurrected as the headquarters of the Dry Bones Society, not to mention Elijah the Prophet squeezing olives in the designer kitchen of a penthouse off Jaffa Road. Sofer follows his characters in their whimsical and unexpected adventures, as they strive to make sense of their odd situation. His prose is witty, at times poignant, and at times laugh-out-loud funny. But what makes this book especially engaging are the characters. Even the villains have a back story one can empathize with. The man behind the counter looked as though he had just rolled out of bed. He pulled at his crumpled T-shirt and straightened his toupee. He peered at the little old lady, and a cunning smile cracked his pockmarked face, the smile of a Tyrannosaurus rex scenting a wounded herbivore. “Today is my lucky day,” the smile seemed to say. Unbeknownst to him, a grandmother-sized asteroid hurtled toward the planet at dinosaur-extinction speed. In a parking garage beneath Jaffa Road, the Prophet pulled on a black leather jacket and a pair of matching riding gloves. The winged Harley Davidson emblem gleamed in the cool fluorescent light on the matte black chassis of the Sportster Iron 883. He kicked his leg over the decal of a fiery chariot on the rear fender and settled on the leather seat. A shudder ran down Moshe’s spine. The verse described a zombie apocalypse. Was he in the lead role? He had no desire to eat brains. He couldn’t even stomach a Jerusalem mixed grill. Sofer’s characters live and breathe (again!) and pull us into their loves and dreams as they wend their sometimes hilarious way across the page toward their destinies. The book is so much fun that I didn’t want it to end. Fortunately, it didn’t! 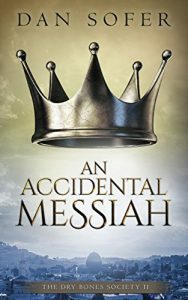 The story picks up in the next book, A Accidental Messiah, and draws to its dramatic—and to my mind—satisfying conclusion in A Premature Apocalypse. The entire series is a delightful read.